Implementing a few small changes can go a long way toward helping your body do its daily job: detoxing. The truth of the matter is, we are constantly detoxing, so to say you’re “cleansing” is always true. The goal should be to support your body’s natural processes with few additional tactics. A summer of traveling the globe, basking in the sun, and drinking margaritas may have made for great Instagram fodder (and a good time, of course), but it has also probably taken a toll on your body. Luckily, tweaking a few things in your daily routine is all it takes to get your body on the right track again, just in time for fall. Keep reading for a few of my favorite detox support tools to help you start fall off on the right foot! Drinking water slowly throughout the entire day will allow your body to use nature’s elixir effectively, so drink it between meals, too. The Mayo Clinic recommends nine cups for women (72 ounces) and 11 cups for men (88 ounces); however, many factors affect hydration, so if you work out, drink lots of caffeine, or plan to spend your day in the sun, make sure to up your intake. Water’s benefits are nearly endless—detoxification, weight loss, fatigue relief, headache prevention, and better skin health and digestion. 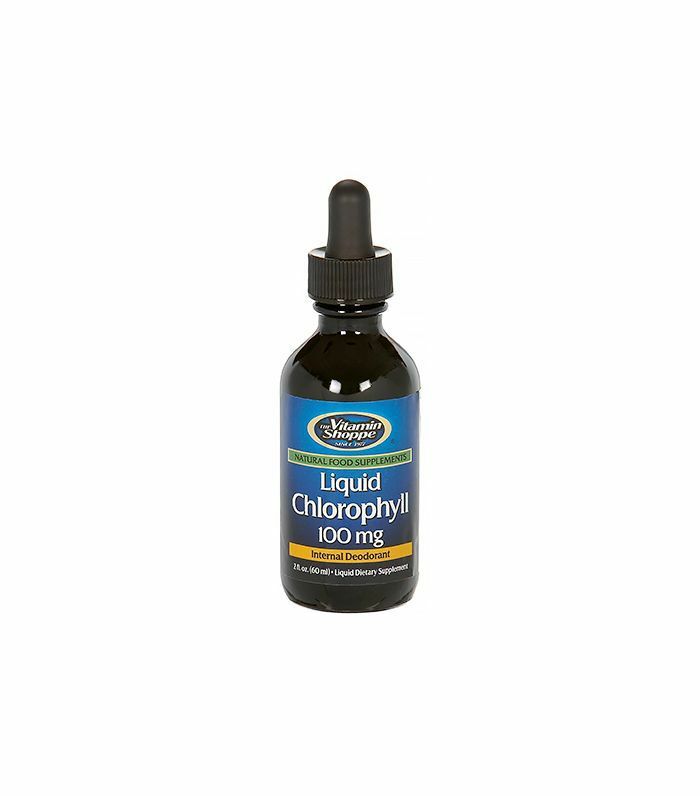 Keep a chlorophyll dropper, like The Vitamin Shoppe’s Liquid Chlorophyll ($10), in your purse! Just adding a few drops of green pigment (the one that’s responsible for photosynthesis, if you happen to remember your middle school science classes) can help control hunger, cravings, and body odor (even that one we women don’t talk about). It’s a super-potent antioxidant that promotes healing and cleansing, including binding to heavy metals and helping kill off candida. When you’re not sipping on green water, go ahead and ask for a side of lemons. Lemons, although acidic in nature, are alkaline in your body. Warm lemon water first thing the morning hydrates your body naturally, and lemons purify the liver. Start or end your day with a tablespoon of coconut oil. Known to speed your metabolism and regulate yeast overgrowth (aka candida), coconut oil is great in coffee, tea, or a smoothie. Many people don’t realize when they have a yeast overgrowth, and since it feeds on sugar, a big night out with wine or a sweet tooth could promote its growth. 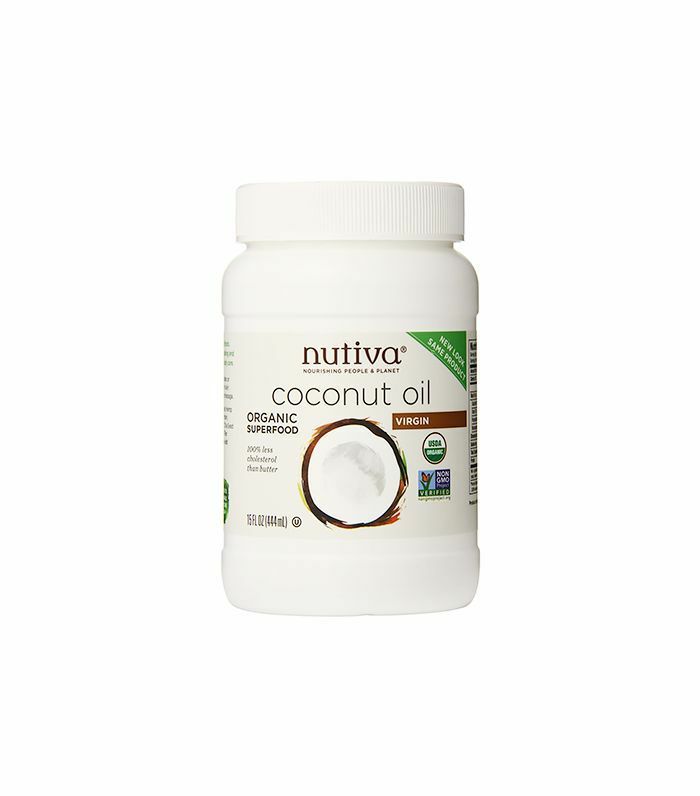 To maintain gut balance, incorporate coconut oil, like Nutriva’s Organic Virgin Coconut Oil ($21 for a two-pack), into cooking, or take a spoonful daily. And don’t forget a probiotic, too! Between dinner and breakfast, get a complete 12 hours of fasting in. The first six to eight hours after eating dinner, your body is focused on digestion; however, the last four hours are dedicated to detox and are also the most effective fat-burning time. Eating too late can cause leptin to signal to the brain that no energy is required, and thus no fat-burning will occur until early morning hours (if at all). Many of us aren’t aware of all the wonderful benefits of sleep, and unfortunately we aren’t actually getting the good stuff. Invest in blackout curtains and stop letting the morning light wake you up. In theory, it’s a great idea to stay on a circadian rhythm, but any light in your bedroom (including light from a street lamp, cell phone, or TV) could be preventing you from getting cleansing sleep. Benefits of sleep include (but aren’t limited to) regulating hormones, curbing appetite, lessening inflammation and stress, lowering depression, spurring creativity, and improving memory and overall outlook on life. 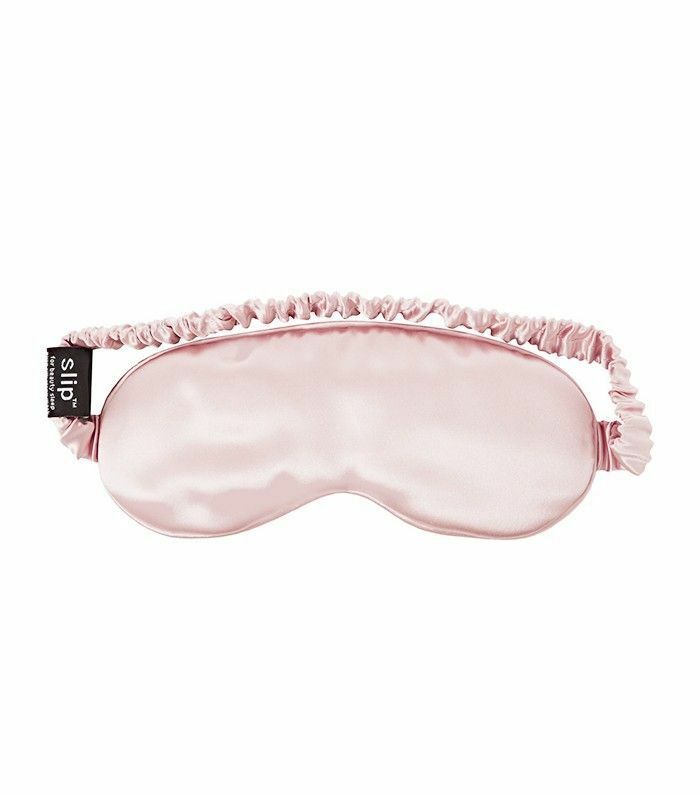 Get those blackout curtains or pick up a light-blocking sleep mask, like Flight 001’s Molded Eye Mask ($32). Just taking a few minutes to dry brush your body in the morning or the evening (before you shower is best) removes dead skin cells and lets your skin breathe. This can stimulate blood flow and lymphatic drainage and potentially reduce cellulite. 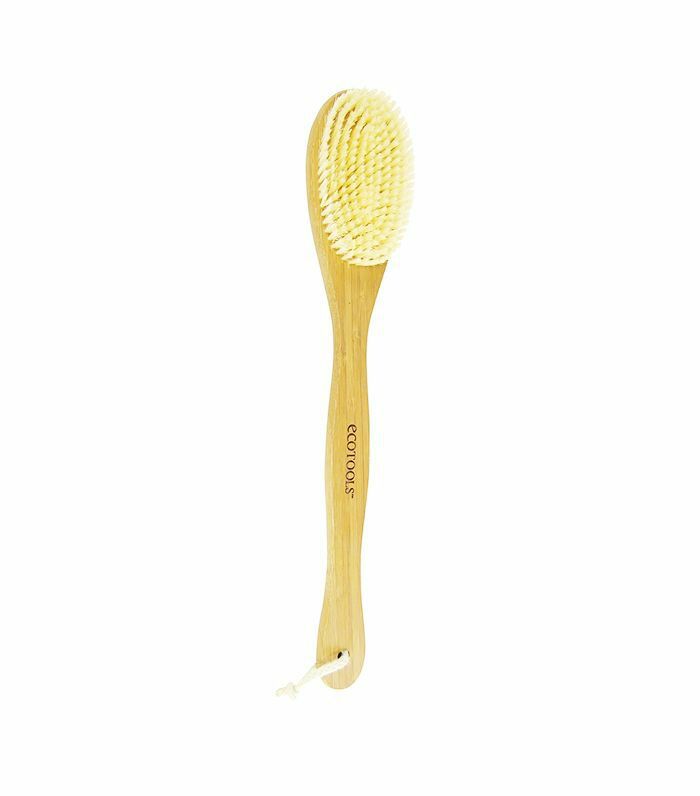 Try EcoTools’ Bamboo Bristle Bath Brush. If you can’t work out, consider thermogenesis training. Infrared sauna or cryotherapy is a great way to challenge your metabolism on an off day. Depending on what you choose, benefits can include weight loss; relief of muscle pain; as well as improvements to the immune system, your complexion, and the appearance of cellulite. Will you add any of these habits to your daily routine? Tell us below! This story was originally published September 16, 2015.